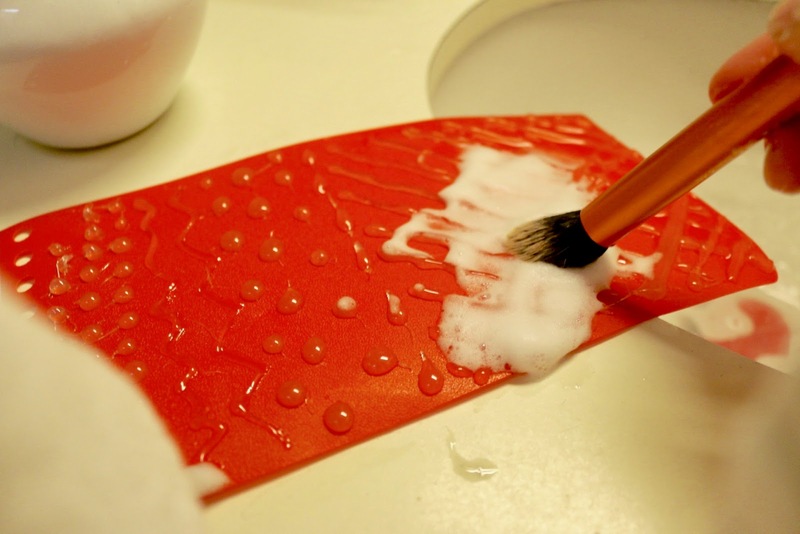 Many makeup stores online have what is called makeup brush cleaning gloves which usually cost around $30 to $60. A great way to save money is by making DIY products yourself. 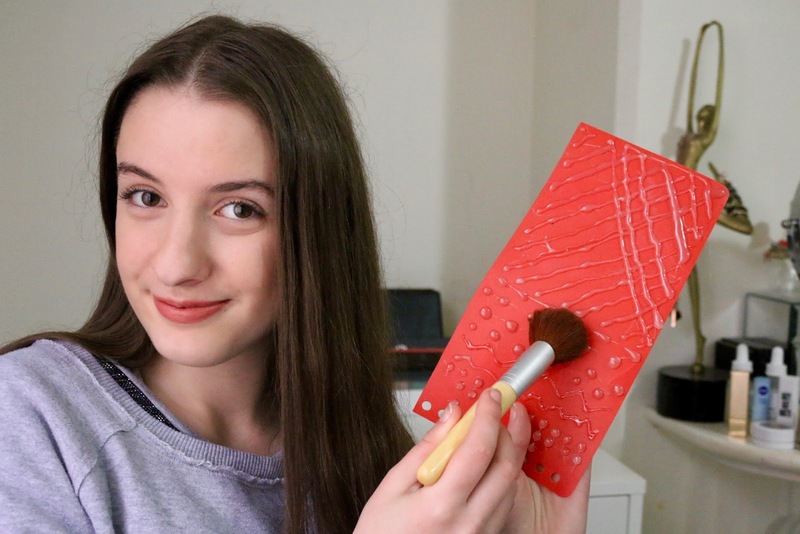 So here is how you at home can make a $60 makeup brush cleaner at home for under $10. 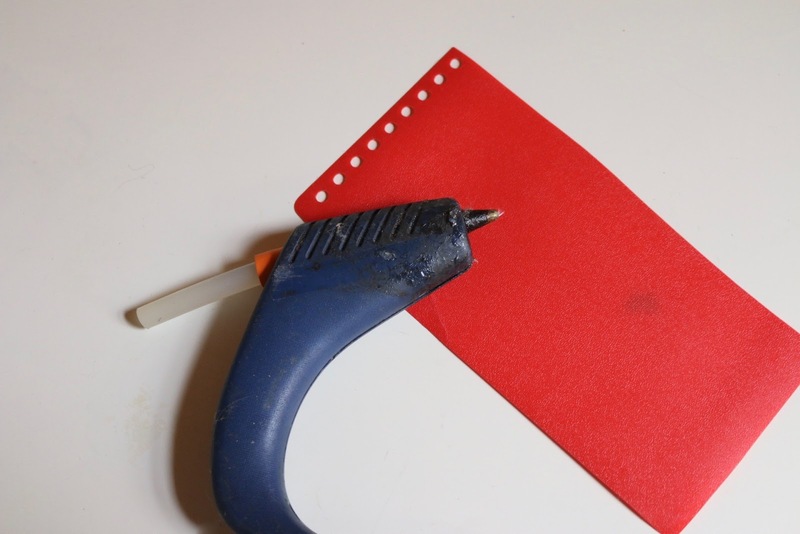 You will need a hot glue gun and a plastic sheet I cut up a piece of a used folder, but a plastic clip board would be ideal. 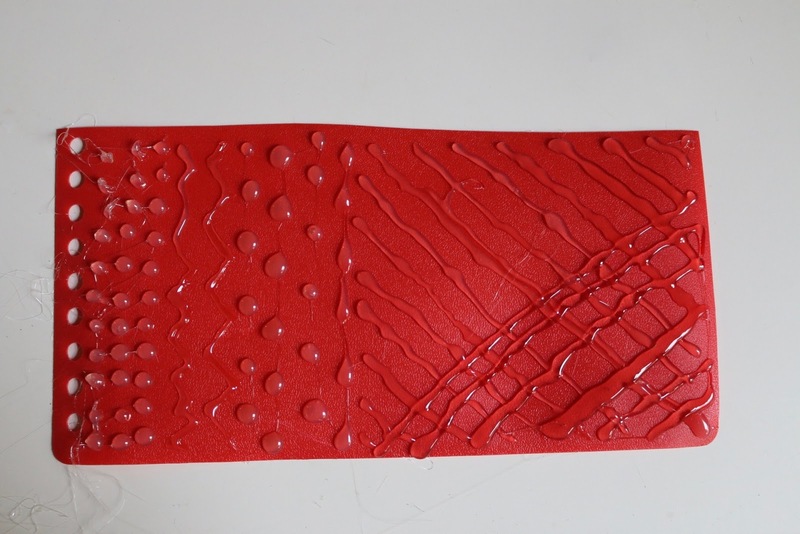 All you have to do to create it is using the glue gun draw lines, zig zags and dots if you want. 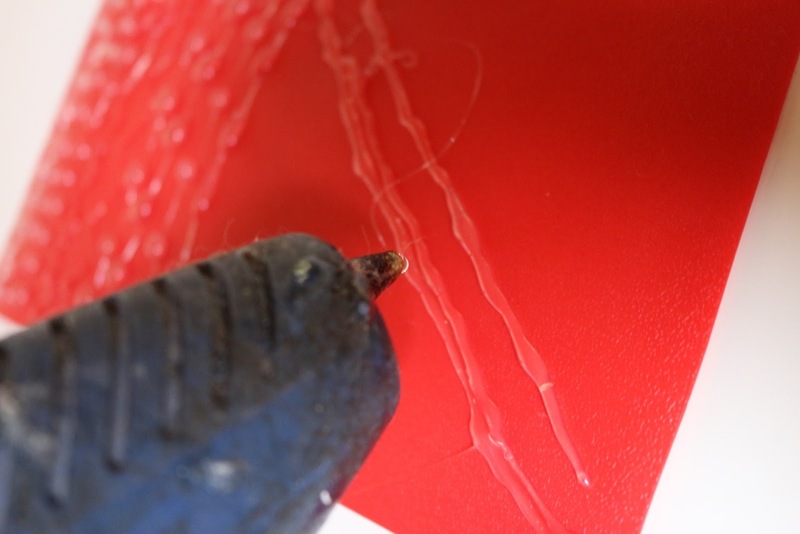 Note, depending on the surface that you apply the glue to, the dots of glue can come off. I found that overlapping the glue like on the right was most effective when washing the brushes and it was also very durable. If you want you can cut off any unwanted glue strings. 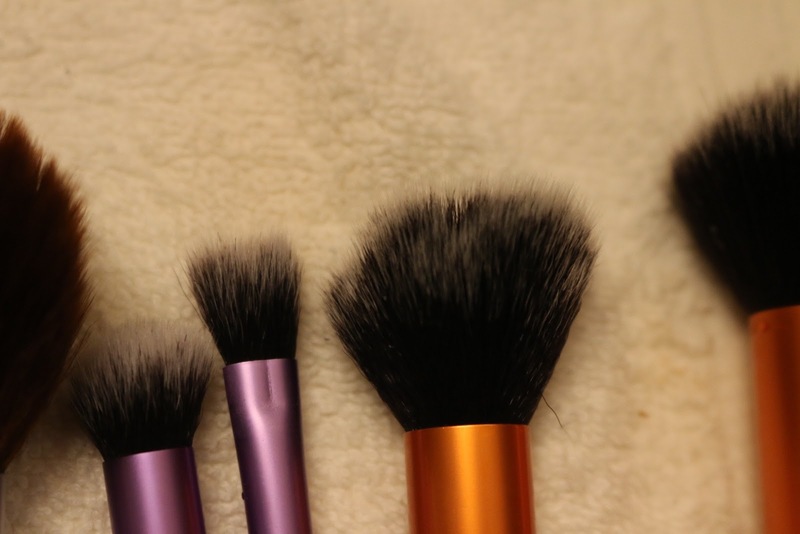 These are the brushes that I use the most and need a good clean so I tested out the cleaning tool by, you guessed it, cleaning the brushes with it. 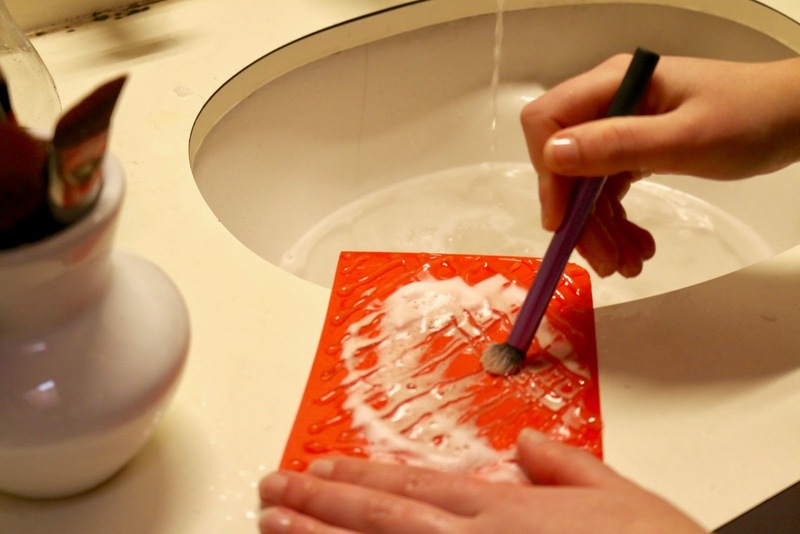 I don't use any special soap or conditioner for my brushes, but I have found that foam soap is most effective when cleaning brushes as you can see that the soap is white and as you clean your brush the soap changes colour and is a better indicator as to when you should change the soap applied. As you can see the soap has changed colour from the far left to the middle where the brush is. I usually use this brush for blending concealer so this is a much used brush. This brush I use mainly for crease shades like brown and dark pink mattes. I cleaned this brush the same way I did with the concealer brush. 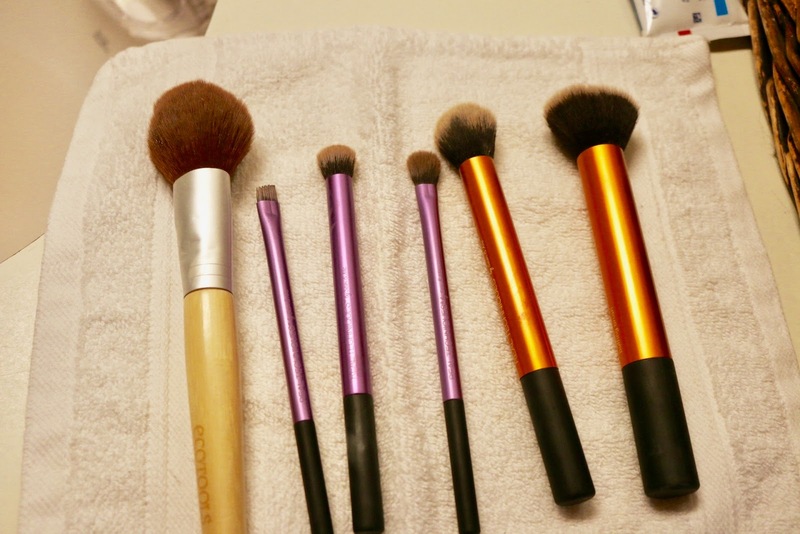 I cleaned the brushes and patted them with a hand towel to drain most of the access water. Overall it is very handy and definitely saves a lot of money but you would have a lot more control over the tool if you used a sturdier plastic sheet like a clip board. I hope you liked this blog post, as I only uploaded one blog post last month I am going to be posting around 7 blog posts through out the next 3 weeks. I would just like to say thank you so much for over 10,000 page views last month. It baffles me to think that I only posted once last month yet we achieved such a high amount of page views. Getting 10,000 page views in a month has been my goal for a long time and I can't believe we achieved it, so thankyou! Such a great DIY! probably the best DIY I've ever seen. 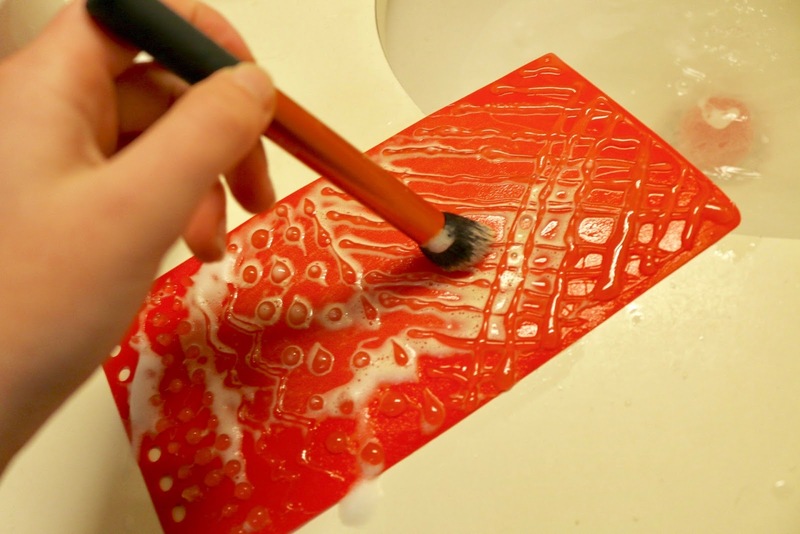 I've never thought of making my own brush cleaner but this is great! I really want to try this! Looks so good! Wow what a great hack!! I had never thought of this! !